Those who target agencies and brands are increasingly setting their sights on martech prospects. If you focus on this vertical, your sales intelligence tool should, too. That’s why Winmo offers its martech database. Available as an add-on to your Winmo account, this feature puts thousands of martech company profiles and associated decision-makers at your fingertips. It’s the best way to ensure your team has access to all revenue streams – from advertisers to the agencies and martech partners who influence their budgets – in one tool. Don’t let your sales intelligence limit you. Open doors with brands, agencies AND martech companies! 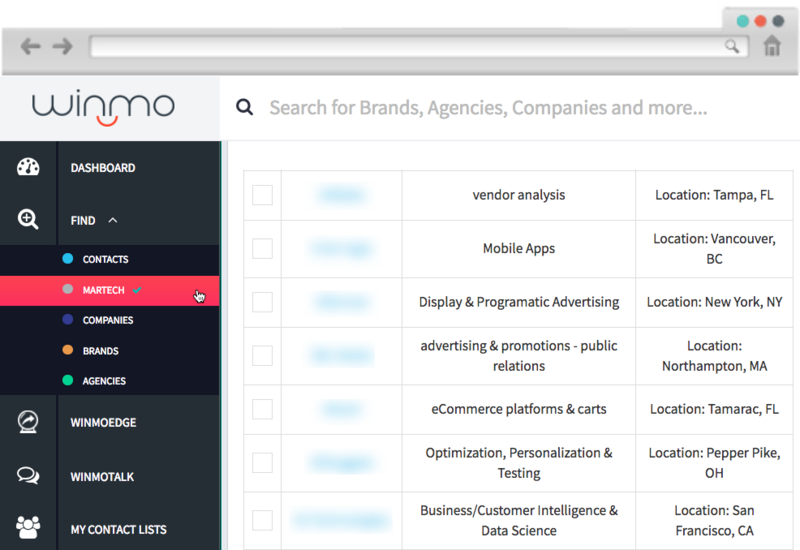 Get total access to Winmo’s sales intelligence – free!